ProPublica is asking a federal court for access to the source code for New York City’s proprietary DNA software, which some scientists and defense lawyers contend may be inaccurate in matching a defendant to a complex sample of genetic material. 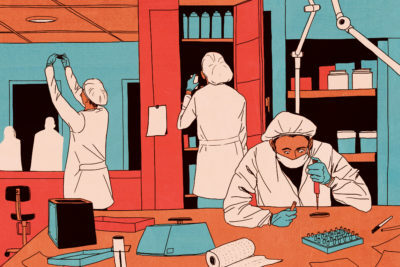 Known as a pioneer in analyzing the most difficult evidence from crime scenes, the New York City medical examiner’s office has processed DNA samples supplied not only by local police, but also by about 50 jurisdictions nationwide. Employees developed the disputed software — known as the Forensic Statistical Tool, or FST — to analyze evidence consisting of multiple people’s DNA and determine the likelihood that a suspect’s DNA was present. According to the medical examiner’s office, FST was used in about 1,350 criminal cases from 2011 until this year, when it was phased out. The office has long kept the source code secret, successfully opposing requests in court by defense attorneys to examine it. A motion ProPublica filed today in the Southern District of New York asks Judge Valerie Caproni to lift a protective order she had issued in a recent case, U.S. v. Kevin Johnson. While she became the first judge to require the lab to turn over the source code to the defense, her order barred parties in the case from sharing or discussing it. As reported earlier this month by ProPublica and The New York Times, defense expert Nathaniel Adams, a computer scientist and an engineer at a private forensics consulting firm in Ohio, reviewed the code and found that “the correctness of the behavior of the FST software should be seriously questioned.” However, the versions of Adams’ affidavits available to the public were heavily redacted and the code itself remains shielded by the judge’s order. The medical examiner’s office characterized Adams’ criticisms as stylistic rather than substantive and said FST’s calculations were reliable. FST played a key role in Johnson’s case. He was arrested after a police search found two guns in his ex-girlfriend’s apartment, where he sometimes stayed. The DNA lab in the medical examiner’s office found two people’s DNA on one gun; by FST’s calculation, it was 156 times more likely than not to contain Johnson’s DNA. The second gun had three people’s DNA and a formidable likelihood of 66 million. 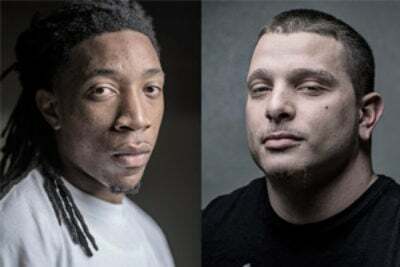 Johnson pleaded guilty to illegal gun possession and Caproni sentenced him last month to 28 months in prison, most of which he has already served. ProPublica filed a public-records request for the FST source code in July. The medical examiner’s office denied the request, citing its “sensitive nature” and writing that “source code consists of information that, ‘if disclosed, would jeopardize the capacity of [OCME] to guarantee the security of its information technology assets.’” The office’s special counsel denied ProPublica’s appeal in August. ProPublica is seeking to intervene in U.S. v. Johnson with the assistance of the Media Freedom and Information Access Clinic at Yale Law School, which offers pro bono services to news organizations. Other nonprofit organizations are also seeking to open proprietary source codes for DNA analysis to wider scrutiny. On Sept. 13, the American Civil Liberties Union and Electronic Frontier Foundation filed briefs in California’s appeals court, supporting efforts by a man convicted of sexual assault and burglary to gain access to the algorithm behind a widely used software program called TrueAllele. The DNA evidence in his case was so small and mixed that initial analysis was inconclusive, but prosecutors say TrueAllele linked him to three crime scenes in east Bakersfield. He was sentenced to life in prison without parole. The developer of TrueAllele contends that its code is a trade secret. Kevin Johnson’s attorneys, Sylvie Levine and Christopher Flood of the Federal Defenders of New York, said they also plan to submit a motion to make the FST source code public. Flood told Caproni in Johnson’s sentencing hearing last month that Adams’ critique of FST “affects every result that has ever been produced by that software,” so there is a public interest in allowing him to discuss it freely. “It’s hard to imagine a justification for a public lab to be so opaque, when science demands transparency,” Flood told ProPublica after the hearing. Joseph Lentol, a New York State Assembly member from north Brooklyn, called for strengthening the state commission that oversees forensic methods. Lentol, who sponsored a bill more than two decades ago that paved the way for DNA testing in criminal proceedings, told ProPublica on Sept. 8 that the New York State Commission on Forensic Science — comprised of forensic lab officials, law enforcement representatives, lawyers and political appointees — should be solely made up of scientists. The DNA Subcommittee of the state commission, which approves all DNA analysis methods used in New York state, unanimously voted in 2010 to recommend the use of FST even though it did not have access to FST’s source code in its evaluation process. The commission discussed the ProPublica/New York Times article on Sept. 13 in executive session, meaning that reporters were not allowed to cover it and members could not talk about the proceedings publicly. The commission chair, Michael Green, said beforehand that the discussion would be held behind closed doors to avoid jeopardizing any future investigation by the inspector general. Leahy Scott is reviewing the defense attorneys’ letter, her spokesman said. The medical examiner’s office says it switched from FST to a new program, STRmix, because of changing FBI standards and not because of any deficiencies with FST. 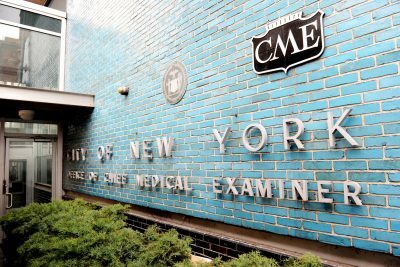 Dr. Barbara Sampson, New York City’s chief medical examiner, defended the lab’s DNA testing methods in a Medium post she wrote in response to the ProPublica/New York Times article. In addition to the Johnson case, attorneys in other ongoing criminal proceedings are citing FST’s perceived unreliability as a basis for defenses and appeals. Mayer Herskovic, a Hasidic Jew and Brooklyn father of two who was sentenced to four years in prison for gang assault after the lab said that his genetic material matched a complex sample of DNA found on the victim’s sneaker, is now appealing his conviction. His lawyer plans to argue that FST was never tested on a population as insulated as the Hasidic Jews of Williamsburg, who very likely share many of the same ancestors, and therefore much of the same DNA.